A few lines of description are not enough to justify the importance of Licensed Practical Nurses or LPN’s in the medical or healthcare field; after all, LPNs serve as the frontlines of the healthcare industry. These professionals spend years studying, learning, and training to care for people who are going through treatment or recovery, and providing crucial assistance to improve the condition of parents. At the mention of practical nurses, what may immediately come to mind are the common tasks shared by all Licensed Practical Nurses which include assisting patients, administering medications through various methods and procedures, measuring and recording vital signs, and providing basic patient care. What many may not know or understand, however, is that Licensed Practical Nurses have other equally important roles in whatever setting they are offering their services in. The activities they perform on a daily basis can actually go beyond just their medical tasks. Being a licensed practical nurse, you will constantly be managing patient care; this means making sure that the treatment or therapy plan is thoroughly followed while at the same time evaluating its effectiveness. 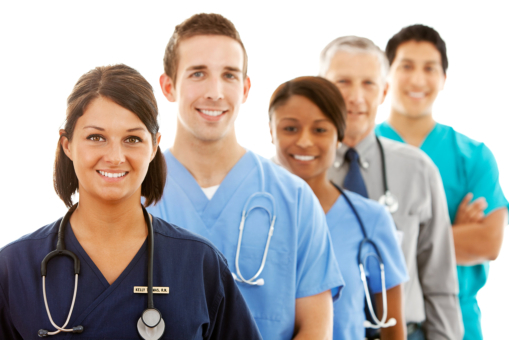 Licensed Practical Nurses can also be team leaders by supervising co-workers. To be an efficient Licensed Practical Nurse means having to use good detective abilities and quick-wit. Paying attention to every detail, especially in the patient’s treatment and how they are responding is very important, and may even mean the difference between life and death. You would have to have strong emotional resolve should you want to be an effective Licensed Practical Nurse. This is because there will be times when you would have to help patients and their families deal with mixed feelings and frustration they would have toward illness or the patient’s situation. Lastly, being a good and well-rounded Licensed Practical Nurse means being an effective educator. This is because you will be educating patients about their care plan on a daily basis. This should be done properly—with the right amount of patience and understanding—so that patients will know what they have to do in order to recover. Adonis College of Nursing is a nursing school in Illinois that helps students acquire the tools and build the essential skills they need in order to achieve a successful career in the high-demand world of medicine and healthcare. We provide quality and efficient healthcare training in Dolton, Illinois in various fields of study—with courses for being a Licensed Practical Nurse and Certified Nursing Assistant, to classes on CPR and First Aid. Contact us at 1-888-308-3892 for the quality education you need to achieve your dream career. This entry was posted in Medical Industry and tagged Healthcare Field, Medical Tasks, Nursing Assistant, Practical Nurse. Bookmark the permalink.